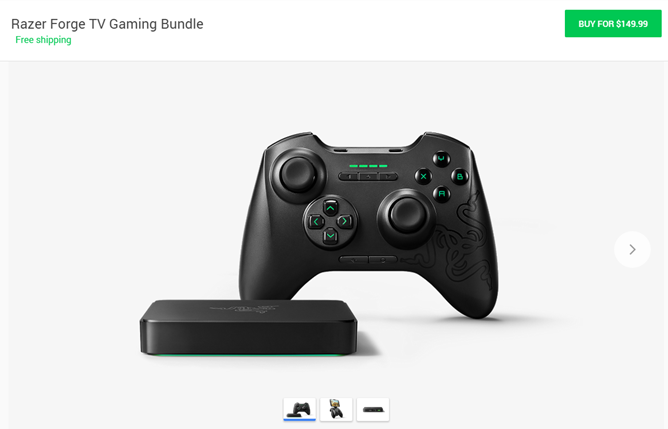 The second Android TV device to be available directly from Google is also the second Android TV device to be sold, period: the Forge TV from gaming peripheral maker Razer. The Forge TV bundle is now on sale in the Google Store. This $149.99 USD package includes the Forge TV itself and one Serval Bluetooth controller. Oddly, the stand-alone Forge TV (which sells for $100 and requires an Android phone, since it has no remote) isn't listed on the Google Store. It's shipping to the US and Canada. The Serval controller is also available as a stand-alone purchase for a whopping $79.99. That's twice the price of the first-party ASUS controller sold alongside the Nexus Player. 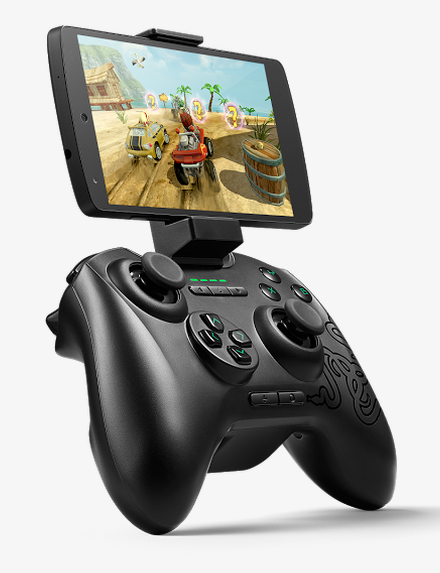 Like most newer Bluetooth controllers, the Serval also works with Android phones and tablets, and it comes with a MOGA-style phone clip included. The Forge TV occupies the middle ground between the Nexus Player and NVIDIA's SHIELD Android TV. Its Snapdragon 805 processor is much more powerful than Google's first-party box, but initial customer reviews have been brutal, citing buggy software and incompatibility with major apps like Netflix. The Forge TV currently has a two-star rating on Amazon, and more than half of the reviews rate it 1 out of 5. At the moment the $200 SHIELD looks like a much more appealing option.